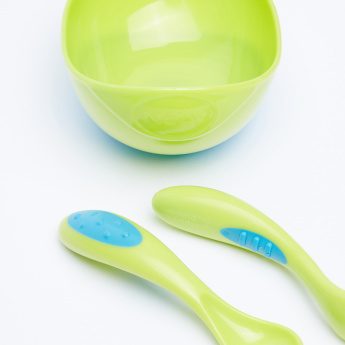 Nuby Sure Grip Bowl with Spoon and Fork | Green | Specially designed for baby little one easy use. 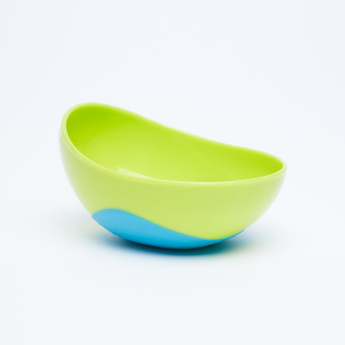 Specially designed for little ones who are trying to eat on their own, this BPA-free bowl offers convenience and maximum comfort. Accompanied by a fork and a spoon, this bowl has a non-skid base to hold it in place. Feature 1 : Specially designed for baby little one easy use. Feature 3 : Comes with sppon and fork for your little one comfort to feed by their own. Feature 2 : Sure grip bowl.